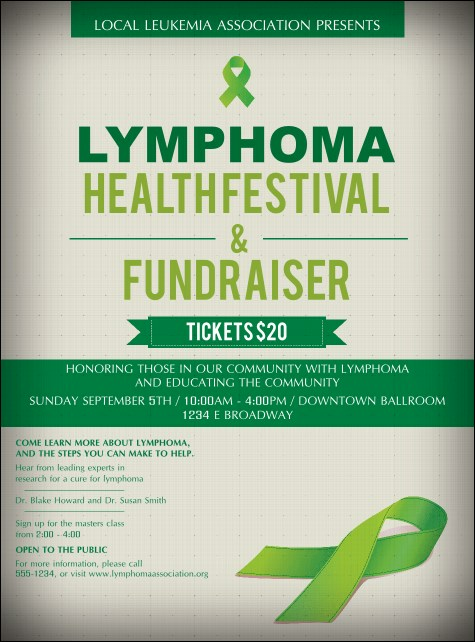 Get your group excited when you use the Lymphoma Flyer to promote the occasion they've been waiting for! This perfectly sized flyer bears proud witness to the cause of lymphoma awareness and research with pops of lime green and a whopping 20 text fields for all your social event's info. The right flyer for every occasion is waiting at TicketPrinting.com!